The Scots are one of the world's greatest nations of emigrants. For centuries, untold numbers of men, women and children have sought their fortunes in every conceivable walk of life and in every imaginable climate. All over the British Empire, the United States and elsewhere, the Scottish contribution to the development of the modern world has been a formidable one, from finance to industry, philosophy to politics. Scotland's Empire puts this extraordinary epic centre stage, taking many famous stories - from the Highland Clearances and emigration to the Scottish Enlightenment and empire - and removing layers of myth and sentiment to reveal the no less startling truth. Whether in the creation of great cities or prairie farms, the Scottish element always left a distinctive trace, and Devine pays particular attention to the exceptional Scottish role as traders, missionaries and soldiers. This major new book is also a study of the impact of this global world on Scotland itself and the degree to which the Scottish economy was for many years an imperial economy, with intimate, important links through shipping, engineering, jute and banking to the most remote of settlements. Filled with fascinating stories and with an acute awareness of the poverty and social inequality that provoked so much emigration, Scotland's Empire will make its readers think about the world in quite a different way. "…a grand overview of Scottish emigration…it helps define the real landscape of choice and decision that is now presenting itself more plainly since the last Scottish election." "...an engrossing study of Scots outside Scotland." "...a mass of fascinating incident and information...so much of the material he has uncovered and organised is of compelling interest..."
"...Devine has become not only a leading historian of Scotland, but very importantly the most prominent populariser of its history to a wider public...Devine is capable of combining genuine academic insights with a great deal of material appealing to a wider readership....Devine's research and his range are outstanding. He gives due attention to aspects of economic and investment activity, to migration and settlement, to missionaries, soldiers and much else. Above all, the book views Scots' global activities in the light of Scottish domestic history...Devine has done it again - has written a near-definitive work (until those ever busy historians set about knocking it down again! ), another in his remarkable series on the Scottish nation and its global activities. We await his next book, on the Scots in England, with bated breath." "....rigorous and unsentimental history of Scotland's global diaspora...Devine's history explodes myths and foregrounds the prosaic realities of emigration, it has the fascinating charm of a detective story." "Mr Devine explains all this with a masterly breadth of knowledge and an admirable absence of hyperbole...the works's great virtue of helping to rescue Scottish history from the romanticised, self-pitying, tartan tosh that has captured the popular imagination of so many Scots both at home and abroad." "This fascinating and far-reaching book...packed with information and his conclusions are as thoughtful and incisive as you'd expect from an academic who has established himself as one of the deepest thinkers on Scottish identity and history, and whose books remain staggeringly popular." 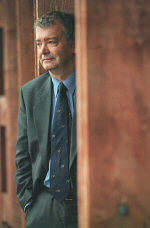 "Devine is that rare phenomenon, an intellectual who can communicate beyond the arid groves of academe...the culmination of decades of scholarship..."
"Devine's genius is to invert the process to show that the system was not the Empire, but globalisation and explain how Scottish society reacted to that process. This is an original, new and thoughtful insight...it successfully answers some pretty big historical questions...A large historical canvas requires big, bold and imaginative brush strokes. It is an art that few historians can master. Devine is one of them." " Tom Devine is now without question the pre-eminent historian of modern Scotland." " Devine is at his best in capturing the sheer size, range and complexity of historical phenomena with prescient points. The book is also good at integrating the homeland with new lands.... a welcome study that will be appreciated by historians of imperialism and migration alike." "sharply written history of the overseas migration of the Scots...an admirable historian, acerbic in judgment, and a pleasure to read... Ends of the Earth has a wider purpose. Not only does it fill a serious gap left by the tendency of imperial historians to dwell on the political and capital power wielded in Westminster and the City of London, it points to the ruthless edge that the Presbyterians gave to the British Empire. " 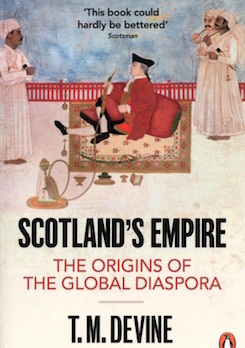 "I highly recommend To the Ends of the Earth: Scotland’s Global Diaspora, TM Devine’s lucid and meticulously researched dissection of Scotland’s exiled community because it offers an eye-opening view of the link between the country’s imperial past and its possibly nationalist future." "...a sparkling account of the Scottish role in the British empire that can be read with profit by non-Scots." "T. M. Devine’s To the Ends of the Earth masterfully dispels such fictions with solid statistics, illuminating comparisons and rigorous analysis... The book has something to annoy participants in every pipe-band, Scottish country-dance group and Highland Games in the United States. The rest of us can welcome it as a compelling state-of-the-art report on Scottish history in global context by the undoubted doyen of the field. "